Historians at the University of Bristol made an extraordinary chance discovery this week when they found a set of important 13th century manuscripts hidden inside a younger book. 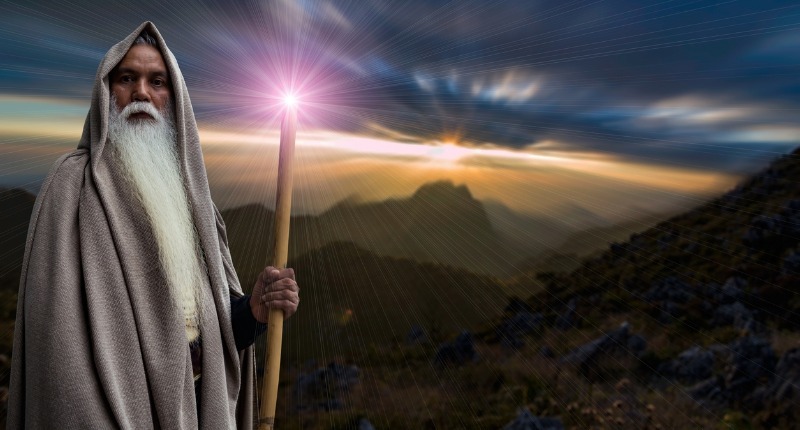 In an exciting twist, the manuscript fragments are thought to contain extracts from a previously unknown version of the Vulgate Cycle, a set of Old French texts that tell the story of King Arthur and more importantly his trusted wizard, Merlin. 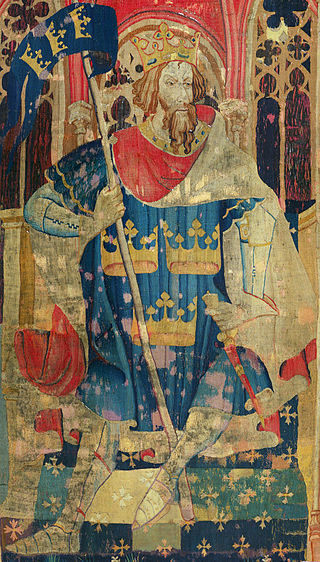 According to Dr. Leah Tether, President of the British branch of the International Arthurian Society, the seven handwritten fragments of parchment tell a familiar story from the Vulgate Cycle, but with a number of key differences that may shed new light on the history of the Arthurian legend. Michael Richardson, of the University of Bristol’s Special Collections Library, discovered the parchment fragments inside a four-volume book containing the works of French scholar Jean Gerson. He noticed that the pages comprising the flyleafs (the usually blank pages at the beginning and end of each volume) seemed to be much older than the rest of the book and immediately began to investigate further. It seems that the four volumes were printed in Strasbourg at the beginning of the 16th century and brought to England, where the pages were bound. It is likely that the medieval manuscript fragments were used as “waste parchment” in the bindings. Due to the cost of good quality parchment, waste fragments were often used as “pastedowns”, connecting the first and last pages of the book to the exterior boards. 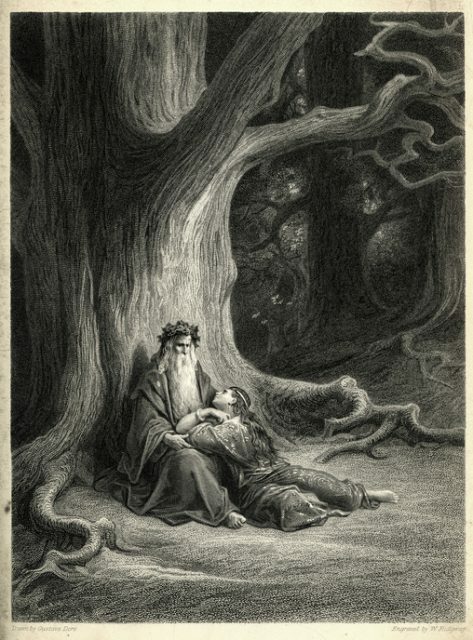 Vintage engraving of Merlin and Vivien repose. At Merlin’s feet the wily Vivien lay. As a result of being used in this way, the manuscript fragments have suffered significant damage. However, it’s still possible to read them, and their contents are extremely exciting for historians of the Arthurian legends. The team at Bristol University, including Richardson, Tether, and historians Dr. Benjamin Pohl and Dr. Laura Chuhan Campbell are currently conducting the investigation and preparing a full scholarly edition of the texts. 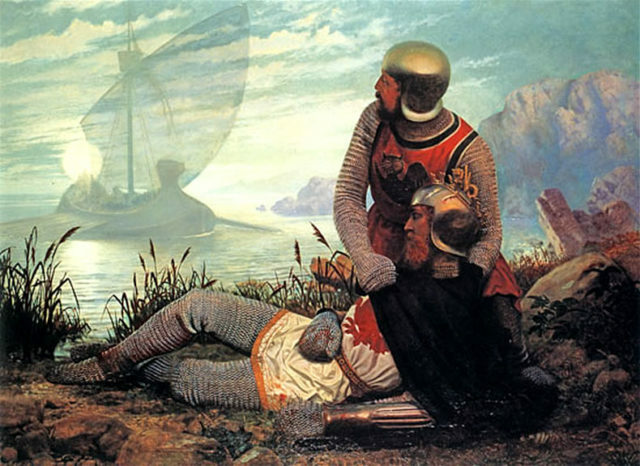 However, according to Tether, it is likely that Malory used another group of texts as his inspiration, otherwise known as the Vulgate Cycle or the Lancelot-Grail Cycle. The Vulgate Cycle contains several slightly different renditions of the story of Arthur, and it is thought that this manuscript is from another version of the same tale. 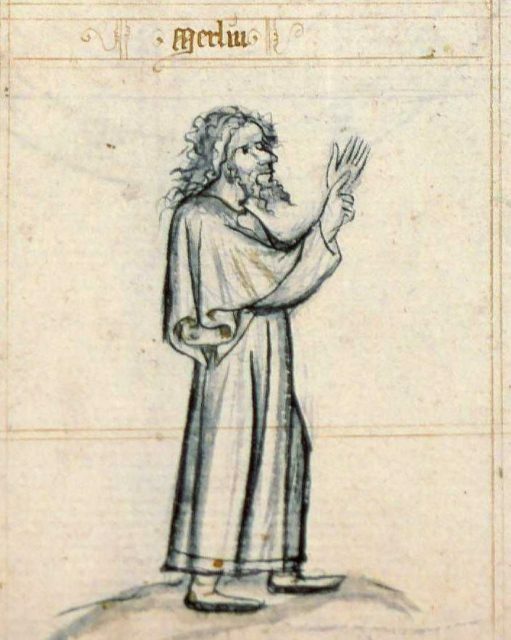 Merlin in a medieval manuscript of a compilation of texts of astronomy by Alfonso the Wise (c. 1400). According to the BBC, the manuscripts discovered in Bristol describe a battle at Trebes in which Arthur, Merlin, Gawain and other knights fought against King Claudas. Merlin and Arthur are developing a strategy for the attack, and Merlin gives an impassioned speech to motivate the beleaguered troops. He leads the charge using the special dragon standard belonging to Sir Kay, which miraculously breathes real fire. Arthur’s forces are triumphant and the battle is won. The Death of Arthur, by John Garrick (1862). The fragments also relate the strange prophetic dreams of King Ban’s wife Elaine, and Merlin’s encounter with a woman named Viviane, with whom he falls in love. The events related are also known from other passages from the Vulgate Cycle, but the details of the story are somewhat different. The new fragments tend to contain more vivid descriptions and details of the battles, which may impact upon the way in which the stories have been interpreted. Due to the damage to the manuscripts, some of the text is obscured, and so the team will undertake a full analysis, perhaps even employing infra-red technology to help them decipher all of the letters and produce a full transcription and translation of the contents. It is hoped that these important texts can tell us more about the Arthurian legend and its meaning in medieval English society. The discovery also operates as a salient reminder – who knows what other secrets are hidden away in the bindings of dusty old books?